Concept Tiles is based in Northamptonshire and supply exclusive ranges of Polished Porcelain Tiles, Extra Large Porcelain Tiles, Wood Effect Floor Tiles, to both commercial and residential clients throughout the UK, as well as overseas on request. We are happy to send sample tiles out at a charge of £1.50 per sample which is fully refunded should an order be placed. 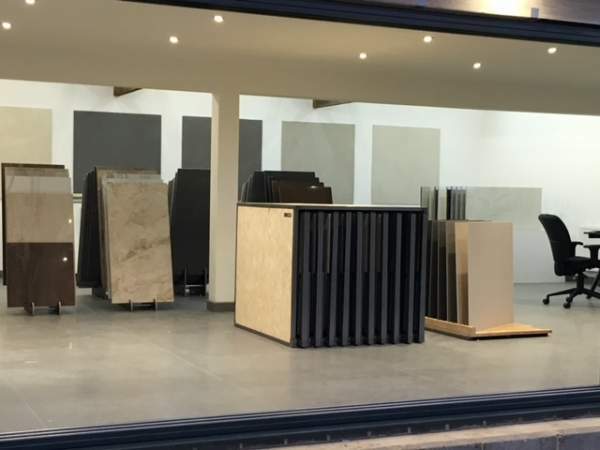 We also offer a unique service for large orders - our sales representative will visit your project or home with full size samples of the ranges you are interested in. This is the perfect way for you to see the tiles in the environment they are going to be installed in. For more information on prices, sizes or availability please contact us on 01604 419894 or email info@concepttiles.co.uk. We are here to help and give advice. Why not make an appointment at our tile studio in Northamptonshire?